c) Valid Light Motor Vehicle Licence issued at least two years before the date of advertisement i.e., 13th June 2018. In case of (b) & (c) above, the incumbents will be required to acquire Heavy Duty Driving License within one year of appointment before completion of their probation period. In case, if they fail to acquire/obtain the Heavy Duty Driving License, their probation period will be extended for one more year in order to obtain Heavy Duty Driving License, till such time they will not be confirmed and their increments will also be withheld. Moreover, no further extension will be granted beyond two years and their services will stand terminated. 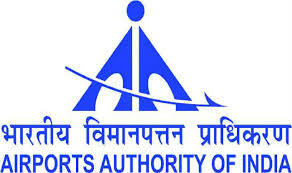 (iv) Upper age limit are relaxable by 10 years for candidates who are in regular service of AIRPORTS AUTHORITY OF INDIA (Additional relaxation for 05 years for SC/ST candidates and 03years for OBC candidates). (v) Maximum age limit for Widows, divorced women and women judicially separated from their husbands and who are not remarried. Upto the age of 35 years (upto 40 years for member of SC/ST and 38 years for OBC).